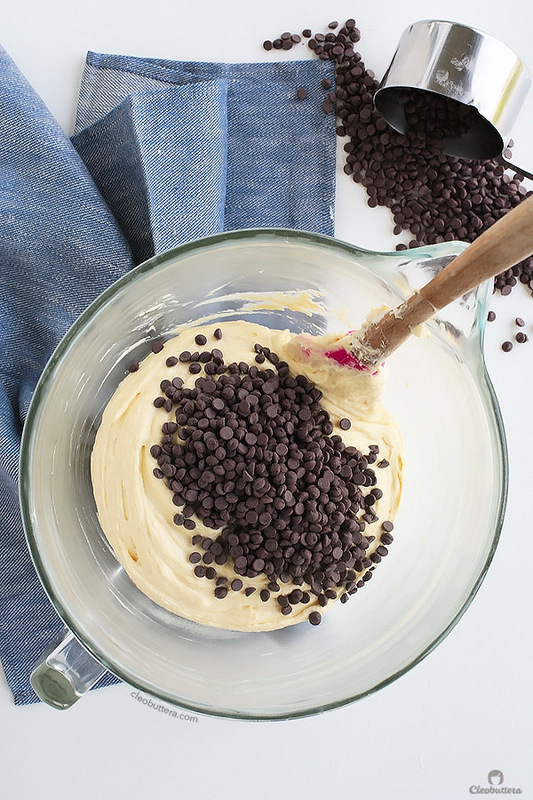 This is the chocolate chip muffin recipe you’ve been searching for! Supremely soft, tender and moist on the inside, with a golden top that is perfectly domed and crusty on the outside. Hands down…THE BEST EVER! Plus…recipe VIDEO included! Hmmm…Mr. Future Marketing Consultant has a valid point. There’s an overpopulation of muffin recipes around the internets, and they seem to be reproducing by the hour. So really?! Does the world need another muffin recipe, let alone a very basic one like this? To be honest, if I wasn’t blindly confident in how insanely good these muffins are, I would’ve agreed, ditched the idea and went with something a little more unique like this one. But instead, I put on my smarty pants and told him “true…but honey, not everybody has the BEST recipe, and that’s what makes these “not normal” “. His response was not something I had expected from my hard-to-impress picky eater. He said “Yeeeaaaah…they really are the best muffins in the world!” OH MY GOD!! Music to my ears! Happy dance…commence! Speaking of “best muffins in the world,” brings us to a little inner debate over their title. You see…I’ve adapted the recipe from BlissTree who call them ‘The Best Chocolate Chip Muffins in the Universe.’ While I couldn’t agree more, I usually try to avoid such high praise titles, you know, because everybody has their own criteria of what makes something the best. Not to mention that what happens in other people’s kitchens, from substitutions, wrong measuring, not using room temperature ingredients, varying oven temperature to overbaking, could lead to unpredictable results. So I ran a little a poll for the best title. And by poll, I mean whatsapped my BFF, who I had earlier sent a muffin to, asking her for help. So ‘Unbelievable’ Chocolate Chip Muffins it is. These muffins are far from “normal” …they are quite extraordinary. So what makes these muffins THE BEST (at least according the cleobuttera household and those around)? I mean first…will you take a look at that crumb?! Light and airy with a soft and delicate crumb that melts away in your mouth. Non of those tough, dry muffins that give your throat a scrub. They are somewhat cake-y but still muffin-y. Does that make any sense? The texture is soft like cake, yet hearty enough to honor the title of a muffin. The tops are crusty and well domed; a characteristic of a good muffin. They are ridiculously delicious just as is, with the pockets of gooey chocolate chips running through, hints of tanginess from the sour cream and the unmistakable kiss of vanilla. But if want, you could omit the chocolate chips for an amazing plain vanilla muffin. Or customize it by folding in your favorite add ins or spices. This muffin base is really just a great blank canvas. A really really yummy canvas, that I’ve been searching for for only oh 10 years or so. They are hands down the best vanilla muffin base I’ve ever made! And that’s because I already have an awesome chocolate one here that you seriously have to try. They’re also pretty simple and straightforward to make. See for yourself how in this video! Now let’s discuss what makes these muffins so good. First, we are using BUTTER! Because as much as oil makes muffins moist, nothing beats the flavor that butter imparts. And we are not compromising on moisture one bit. We also beat the butter first, which helps aerate the muffins, then add in the sugar. And beat more, so much more until very pale in color and the texture is light and fluffy. This is what helps create a fluffy crumb, so don’t skimp on it. Then in goes the eggs, one at a time. Followed by the vanilla. A generous amount. On lowest speed, you’ll add in 1/3 of the flour mixture, followed by 1/2 of the sour cream, then flour again, rest of sour cream and ending with the last 1/3 of the flour mixture. You’ll want to mix juuuuuuust until combined or they’ll turn out tough. SOUR CREAM is the moist maker here. That along with the butter, is what makes these muffins utterly moist. I love using it in baking. In goes the chocolate goodness! I prefer to use mini chocolate chips because they don’t sink in the batter, but regulars are fine too. You’ll just need to coat them in a little bit of the flour mixture before folding them in. This will prevent them from sinking. I just love these tulip paper cups; makes them look like they came straight from a bakery. Regular ones are just as good though! Lick the beater, spatula, bowl and ice cream scoop, then sprinkle a few chocolate chips on top. Just for looks. 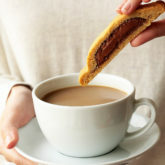 Bake until beautifully golden, springs to the touch and a toothpick comes out clean or with a few moist crumbs attached. Very important tip: Eat one while still warm out of the oven. THIS IS NOT AN OPTION. Oooooh! I almost forgot to tell you that you should totally make mini ones for the mini people in your life. Each regular sized muffin, makes 4 mini ones. 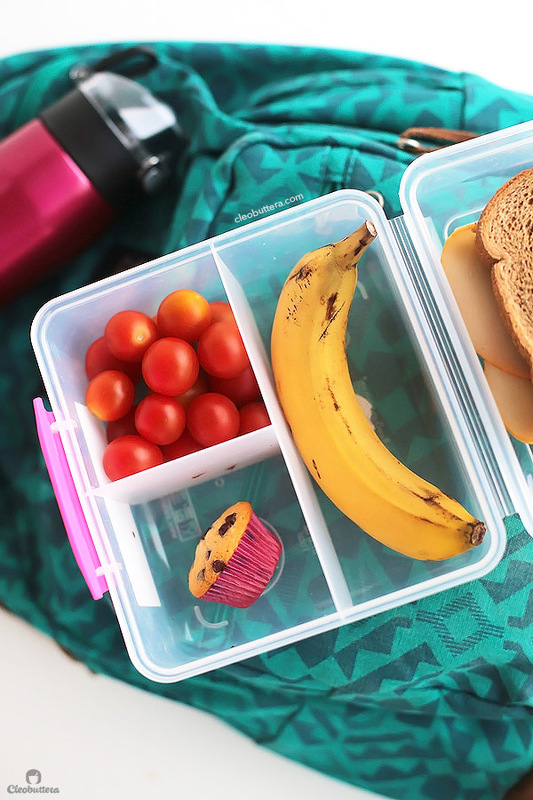 Imagine the look on their face, when they go to school, open their lunchbox and find a cute little treat sitting in there. Any way you choose to make them, these muffins are sure to please. 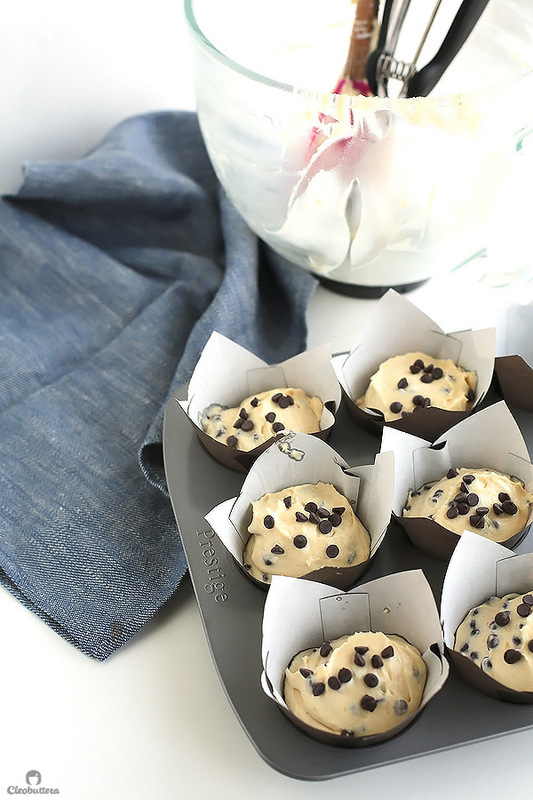 This is the chocolate chip muffin recipe you've been searching for! 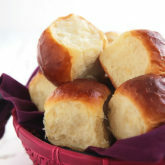 Supremely soft, tender and super moist on the inside, with golden tops that are perfectly domed and crusty. THE BEST EVER! Adjust the oven rack to the lower middle position and preheat the oven to 400F/200C. Line a 12 cup muffin pan with 12 cupcake liners (or 48 mini liners, if using mini cupcake pan). 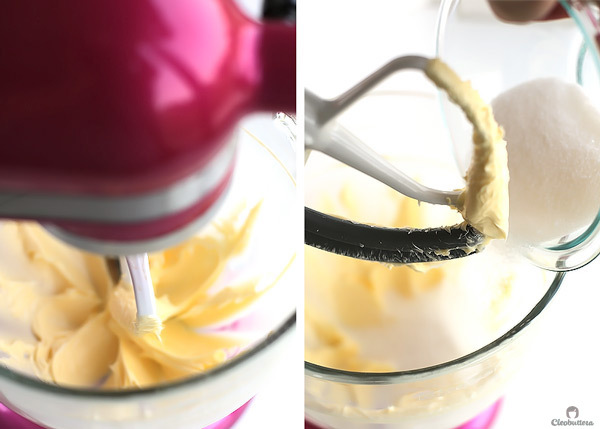 In the bowl of a stand mixer fitted with a paddle attachment (or a handheld mixer and a large bowl) beat the butter on medium high speed until creamy and lightened up; 1 to 2 minutes. On lowest speed, add in one-third of the flour mixture and mix until mostly combined. Add in half of the sour cream and lightly stir until almost mixed in. Continue with adding another one-third of the flour mixture, followed by the remaining sour cream and ending with the last third of flour mixture. Mix until just combined. DO NOT OVERMIX or you could end up with tough muffins. Using a rubber spatula, fold in the mini chocolate chips (see note for regular sized). Bake for 20 to 22 minutes (for regular muffins), or until the top are golden brown and spring back to the touch and a toothpick inserted in center comes out clean or with a few moist crumbs attached. Mini muffins should bake in about 9 to 12 minutes. (Always check early for doneness and add a few minutes if still not baked through). DO NOT OVERBAKE or the muffins will dry out. 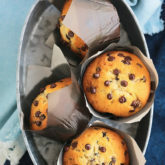 I love using MINI chocolate chips here because unlike the regulars, they don't sink to the bottom of the muffins and for their even distribution in the batter, so you get a pop of chocolate with every bite. 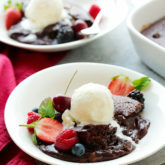 Regular chocolate chips or chopped chocolate could be used instead. However, be sure to reserve a tablespoon of the flour mixture aside and use it to coat the chips or chunks before folding into the batter. This will help prevent them from sinking. “They are somewhat cake-y but still muffin-y” is just a perfect statement to describe these! Truly amazinggg! I’ve been looking for a “good” – yes I was that desperate :'( – vanilla muffin not cupcake recipe for sooooo long now. It was seriously one of the hardest recipes to find! Those do look pretty much unbelievable! So many melty chocolate chips 🙂 Love how golden brown they look too! Oh thank you June! The golden brown tops really do add a great textural balance as its slightly crunchy, whereas the inside is SO FLUFFYYYYYY! Do you think I could use yogurt/kefir instead of sour cream (only because that’s what I have on hand)? My kefir was 3.25% milk fat. They turned out SUPER-DUPER moist! There’s no reason to cut fat. In fact, full-fat is better for flavour and health. Don’t listen to mainstream that low-fat is better. It’s not. If you want to cut anything – it’s sugar. Can you use all purpose cream instead of sour cream? Hi Nel. I wouldn’t recommend that because cream has a much higher fat content than sour cream and might cause the muffins to collapse and become greasy. Cream also doesn’t have the acidity needed to activate the baking soda. What I’d suggest is yogurt, Greek is best, or buttermilk. I’ve personally tried buttermilk with great results, while a lot of readers have reported back that yogurt worked really well with them. Hi! I used plain compact yogurt (it’s more consistent than normal yogurt) because I can’t find sour cream where I live. I used the same amount as stated in the recipe, but I did use 180g of sugar (100g white sugar, 80g brown sugar). The muffins turned out great! They’re fluffy and just perfect! Thanks! That’s so awesome to hear! I’m glad all the substitutions worked well for you. Thanks for all the tips. Hey Sarah! Not at all! Even my family still get confused between muffins and cupcakes, even though they know very well how that ticks me off 😀 The most obvious difference is that cupcakes are piled with frosting, while muffins aren’t. Muffins also tend to be heartier, less sweet, with less fat, usually include add ins like fruits, nuts or chocolate chips, and are more of a breakfast or brunch item. They also have these distinctive high, crusty tops that look like a mushroom cap. Whereas cupcakes are just miniature cakes. Fluffier, tenderer, sweeter, fattier and eaten for dessert. All that is true except for the sugar an fat content of muffins. 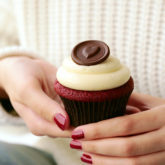 Muffins and cupcakes have the same amount of fat and sugar – it just depends what you put in them. Bring on the pressure girl! LOL:D I really hope you give them the seal of a Chocolate Chip Muffin Lover approval. Hahahaaaaa 😀 My waistline hates me as well! I can’t believe that despite all this happening, they still turned out great! WOW! I actually did notice how forgiving they are as well. I trying used melting butter before and skipped the creaming process and they were still great, a less fluffy though. I reduced the sugar by a 1/4 cup, still awesome, but I like them slightly sweeter. So yeah they’re hard to mess up. I love the fact that yogurt is working really well in this recipe. I will definitely try them this way the next time I make them! There’s a packaged mini chocolate chip muffin that my son begs me to get every time he sees them at the store. We always have the conversation about how we don’t buy them because they have too many ingredients that we don’t eat. I always promise him I’m going to make some for him at home, but he ends up with my other muffin endeavors that usually include whole wheat and fruit of some sort. While he also enjoys those treats, I still haven’t come through on the one he REALLY wants. I think this is the recipe to solve that problem. I am printing and hoping to make them soon. The way you describe them, I know we’re ALL going to love them! I have the same feelings about packaged supermarket muffins too. Too many on the ingredients; too little on the flavor. Nothing beats homemade! Recipe saved for later, I’m totally making these. Couldn’t agree more! Whenever I see a recipe with sour cream in it, I immediately know that big chances are, its a good one. Most of the cakes I make either use sour cream or buttermilk, but sour cream more, because that moisture though. And YAAAAAAAAS that raw batter…Mmmmmmmmmmmm! Oil is perfect for making muffins; always keeps them so moist! I only chose butter over oil because I prefer the flavor of butter, but way to go on your substitutions! If you were to use oil, would you mix with the muffin method? Hi Rebecca! I’d stick to the “creaming” method of the recipe, because you want to incorporate some air first. So you’d whisk the oil with the sugar first, then add the eggs, then dry ingredients alternating with the wet. I tried this recipe once with melted butter instead of softened & this is what I did & it turned it really well. Tried them yesterday with yogurt as well coz i’m out of sour cream and they were really delicious. I’m so happy to hear that you loved these muffins Meagan:) Isn’t that crumb so divine? As for the domed tops, my best guess would be that the oven temperature was lower that what’s suggested in the recipe. From what I’ve learned, is that high oven temperature actually helps produce higher tops rather than the opposite. I hear you, having a new oven is like getting into a new relationship. You really need time to understand one another😄 Have you considered buying an oven thermometer? It takes all the guess work out of the oven. I swear by mine. I haven’t, but perhaps I should get one! I also noticed that google says 400F is equal to 205C, so if my oven is already off then the extra 5 degrees might make more of a difference 🙂 I will try turning the oven up, thank you for your help! I can’t wait to try this recipe! it looks awesome! i just have a question… would it be okay if i tried using brown sugar in this or is it better to just follow the original recipe instead? anyway, this looks delicious and thanks for sharing it! Oh Daira these are truly the best! I did try using brown sugar before because I was trying to get a chocolate chip cookie kinda taste but honestly I didn’t love it. It just put the texture off & made the muffins more fudgy & sticky than they are fluffy. My mom, who adores these muffins, mistakingly used brown sugar instead one time, and noticed the same thing too. 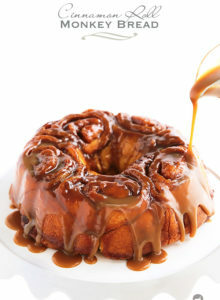 So even as a brown sugar lover, I would strongly suggest you stick with white sugar for this recipe. Followed this recipe to a T, and it was INCREDIBLE. 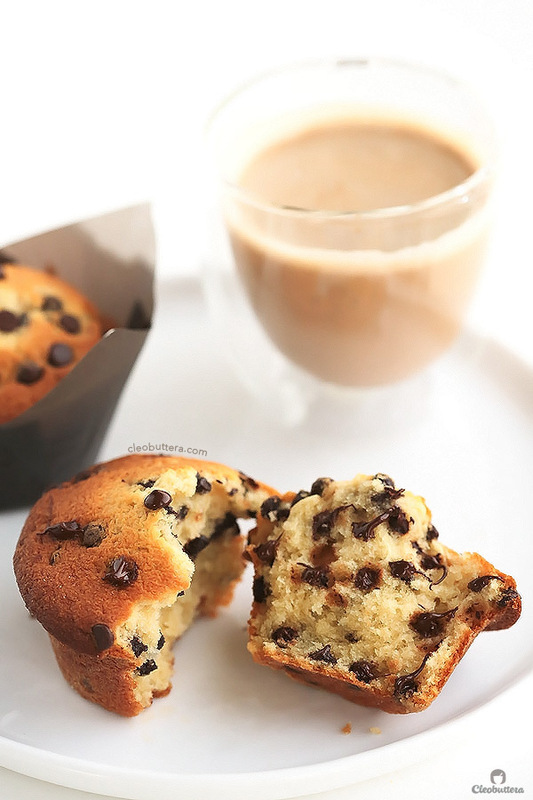 I was looking for a recipe to mimic these amazing chocolate chip muffins (with mini chocolate chips) that our hotel in Italy served for breakfast every morning during our honeymoon. And this recipe was even better. I could have probably even made 18 regular muffins with this recipe, but I opted for 12 bigger muffins since they were a Valentine’s surprise for my husband. I did only use 3/4 cup sugar since we like things less sweet, and they were perfection. I also used butter to grease the muffin tin before putting in the batter since my husband LOVES all things butter. I popped them out after they cooled for 5 min and shaped them into a heart on a cooling rack for a little extra surprise. Thanks so much for this recipe! Definitely a keeper. Also, I put the recipe into my fitness pal just to see the calorie damage and it’s really not THAT bad for a huge muffin (I calculated it at 352 calories per muffin for 12 servings). And I try to eat just half at a time! Thanks again! Hi Tasbih, tried this muffin… And i usually dont like muffins. 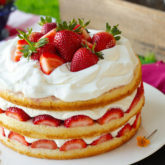 I dont know its so dry and i just prefer cake. But made ur delicious and wonderfull cleobutterfins XD sorry … Its because of the sugaroverload. Thank you for sharing your lovely recipes, it makes those who try to bake motivated to keep on trying 🙂😍. These are simply INCREDIBLE! Seriously the best muffin I’ve ever had. Definitely going to be a staple recipe in my home. That’s so amazing to hear Katie! I’m beyond happy that you loved them☺️ Thank you so much for taking the time to leave your great feedback! What can I substitute for sour cream so it can be non dairy ? Hi Tasbih, i made those and the chocolate ones for guests and they turned out fabulous, everybody loved them, they were really yummy and muffiny, but i am still not able to get that dome top that we find on store bought muffins their tops were a little bit flat like a cupcake, i wonder how can i get that big dome. Hi Ola! It’s great to hear that you loved the muffins. These should have quite a bit of domed tops but not as huge as the ones you see in the bakeries. 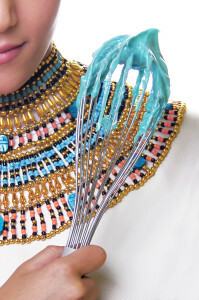 Note that most bakeries (especially the ones in Egypt) make their muffins from a mix that they just add water & oil too. The mix has lots of chemicals & additives that make them rise so insanely high. To get the most height out of the these muffins, I highly recommend using a kitchen scale if you have one. Weighing ingredients by scale as opposed to by cups assures that your measurements are perfect every time & that you have not under or overmeasured anything. It will really help you get better results & increase your chances of getting the perfect dome. Another thing to watch out for is your oven temperature. If the oven runs lower than normal, than the muffins won’t rise properly. The best way to know if your oven is spot on, I’d by using an oven thermometer. If you don’t have one, may I suggest that next time, you turn your oven temperature a bit higher & see if it will any difference? Muffins rise much better at higher temperatures. Thanks a lot Tasbih, i have all equipments u can imagine 😂, but i think there is a problem with my oven coz the muffins on the left were darker than those on the right. Hahahaaaa😂 I can relate! Try rotating the pan halfway through baking to get more even brushing. And if you have that oven thermometer, it would really help understand your oven. These were amazing! Way better than anything I’ve had outside. Very easy and quick to make as well. I’ve been trying to pace myself so I don’t finish the whole batch all at once! They came out of the oven perfect; warm, and buttery soft, with a slight crust at the top. Can this be adapted to make banana-nut muffins? Ok they’re really good – my batter was a little more liquidy than expected and therefore went a lot farther- I made 6 giant muffins and 6 normal size ones and used longer time because they weren’t browning up as quickly as expected- but they came out perfectly! Thank you! 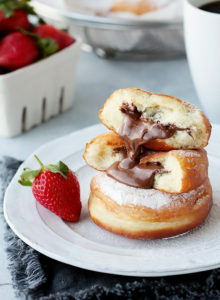 Mmmmmmmm…Nutella sounds like an amazing idea! I’ve never thought about it before even though I’m nutritious for stuffing anything & everything with Nutella lol! Thanks for tip! Made the muffins yesterday using yogurt. They were delicious moist and fluffy. Thanks for the lovely recipe. Can i use the same recipe and bake it as a cake. Thanks once again. Hi Naomi😊 Absolutely! All purpose flour is just the same as plain flour. They are just named differently in different countries. Enjoy! 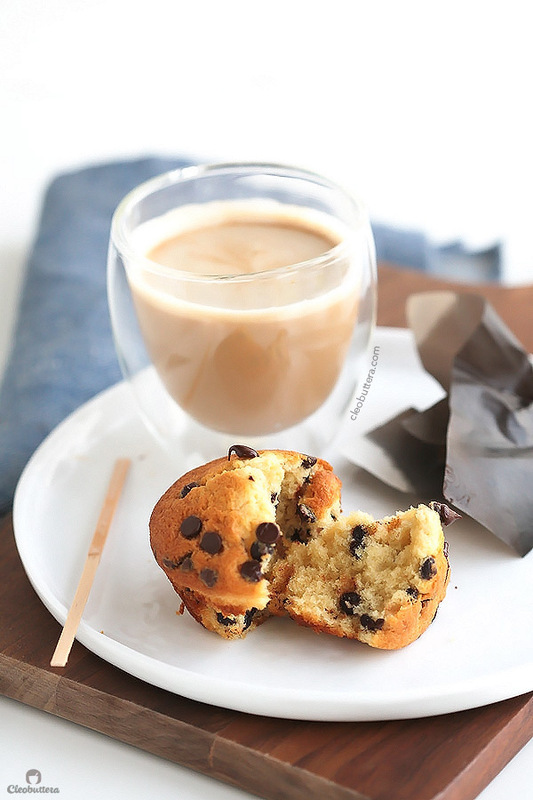 Tasbih, if you would toss chocolate chips in some flour first they will not sink to the bottom of the muffin. Yup! It will help reduce the sinking a lot more than if you would just mix them in. Hi Tasbih, thank you for such a wonderful muffin recipe. I’m now looking forward to playing around with different flavors and baking them more often to give away. 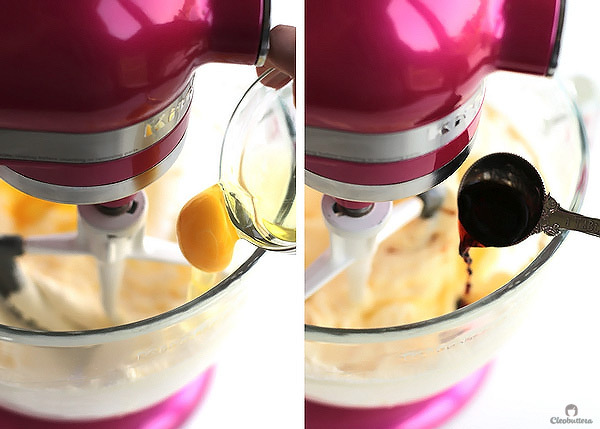 I modified your recipe a bit by whisking the egg whites separately and adding it back to the batter last. It feels fluffier and I don’t have to add baking soda to it. Many thanks! Hi Elieen! So happy to hear that that you loved them! What a great tip for adding extra fluffiness & lift! Thank you so much for sharing. I’m gonna try it the next time I make them. Hi Tasbih, I made these muffins today..used plane yogurt instead of sourcream,melted butter and replaced half cup brown sugar too..it came out beautifully..super moist…fluffy …yummy muffins.😊😊i tried many recipes..but this is the best ever …thank you sooooo much for such a wonderful recipe..next time I will try with oil..
Wow Roshini! I’m so happy they turned out so great with all the changes. I think it’s a very forgiving recipe; no matter how much we play around with it, it still manages to turn out delicious. So happy you loved them as much as we do. Would love to know how they turn out with the oil substitution when you so try it out. They are perfect! …even with bashed up milk chocolate Easter bunnies instead of dark choc chips. Happy to hear you loved them Miriam! Bashed up Easter bunnies? YUM! That’s the beauty of this muffin base; works with just about anything. I just used it today smothered in butter & cinnamon sugar (sans the chocolate chips) and it was crazy good! I had tried a lot of recipes with curd in it….but was disappointed since the muffins or cakes would turn out sticky on top the next day although soft..does that happen with these too? Hi Mehek:) I’m not sure what you mean by curd, but to answer your question, the top doesn’t turn out sticky the next day. Unless you’re in a very humid climate. Thank you for t prompt reply….I was planning to use curd (yogurt) instead of sour cream ,hence the question. Can you tell me how I can make sour cream at home? Just made some muffins and they are delicious! To be thrifty I used 1 stick of butter and 1/4 c oil. I also did not have sour cream, but I did have peach flavored yogurt. I thought the taste might be a little off, but I don’t taste the peach at all. I’m thinking of adding some cocoa powder to the flour on my next batch. I’m so happy to hear that they turned out great with all the changes. I really like the idea of subbing some of the butter with oil! Oil makes baked good soooo moist for days, so the muffins must’ve benefited from it. 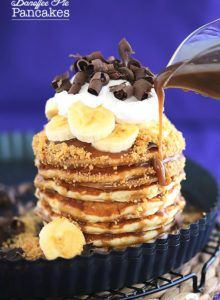 First time I made these I used 1/2 brown sugar and 1/2 regular and I also substituted 1/2 the sour cream for a fat free Boston Cream Greek yogurt and they were so yummy! Made them again with all granulated sugar and 1/2 vanilla Greek yogurt and they were just so-so. I love this recipe though, great texture to the muffins. I am going to experiment with whole wheat flour next time. So great to hear that you loved the recipe Bek! Brown sugar is never a bad idea. I have a feeling it made the muffins taste more chocolate chip cookie-like, which is always welcome in my book…YUM! Hi again! 1 oz is 25 g rite? How 9 oz flour is 255 g? Hi Mehek:) 1oz is approximately 28grams. Just tried this recipie. Swear to God i could marry you right now, they turned out amazing!! This should be labeled as”the ultimate most awesome cupcake recipie in the entire world” thank you so so much for sharing this! 🙂 greetings from Uruguay. You made me laugh so hard! I guess getting marriage proposals over a recipe is the best form of flattery. Thank you for making me so happy with your cute comment. Holy cow!! This is THE BEST chocolate chip muffin I ever had!! I wish I had the tulip cup so mine will look as pretty but in any case it is delicious! I am sharing this recipe to everyone I know. I love hearing that Ria! I’m so glad they turned out so good. Welcome to the blog and I hope you enjoy more of its recipes just as much. My 10 year old daughter requested chocolate chip muffins for her birthday breakfast so I made them using your recipe, which I found on Pinterest. 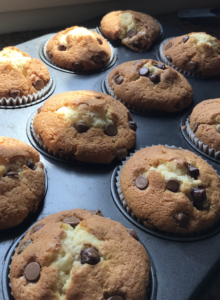 Wow – your named these muffins well…they were indeed unbelievable! I followed your recipe exactly and they came out perfectly! I saw your comment above…I do hope that you will post a blueberry muffin recipe soon. 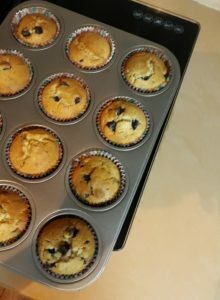 My husband loves blueberry muffins and I am searching for the perfect recipe! Looking forward to checking out the rest of your blog and your other recipes. Thank you! You could also use unsweetened applesauce, but that would make it taste like apples. If you’re interested in any alternatives to sour cream but don’t mind that it’s dairy, then buttermilk and yogurt (especially Greek) work marvelously in this recipe. 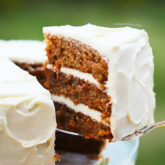 Would like to have an orange cake with chocolate chips and bake it like cup cakes with chocolate topping. Can you please help me how to go about making the change. is there supposed to be some leftover flour mixture? 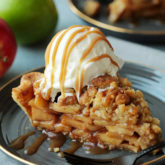 Hiya, I was just wondering if it is safe to double this recipe? 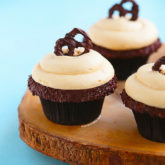 I have to make treats for a ton of hungry boys and it would be easier to make them if the recipe could be doubled. So. I just made these. I so badly couldn’t wait to try one that I may have burned my thumb on a chocolate chip! Haha! Literally the best muffin ever. Initially 694 first bite is crunchy through the top but inside is so fluffy and warm and delicious! Being that it’s fall; I’m wondering if you think there is a way to make these pumpkin-ey? Adding purée? Or maybe just cloves/ginger/nutmeg/cinnamon etc (or pumpkin pie spice)? Oh Laura it’s comments like yours that make my day! It’s always a delight to hear that you love a recipe as much as we do. 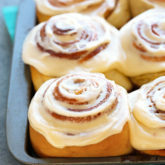 I remember the first time I tried them warm out of the oven, so I totally get your excitement, burnt thumbs and all lol! Do you have to use Sour cream and if you do what else could you use instead of yogurt? Hi Bella! 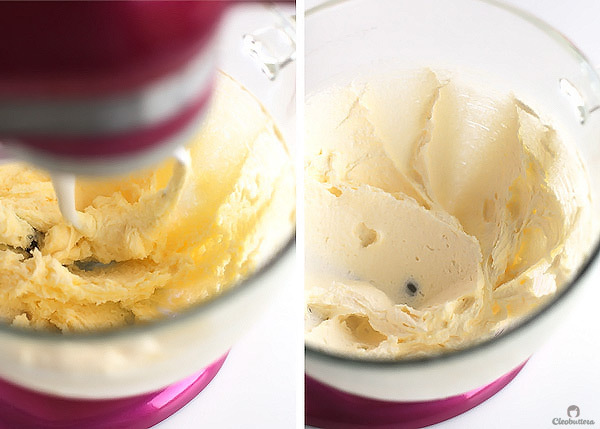 I have tried both sour cream and buttermilk in this recipe with great results. A lot of readers have also reported back that yogurt worked really well. Creme fraiche is also a prefect substitute. I adjusted the sugar, also I felt the batter was a bit overmixed as well. Could these be the factors? What is the # of your ice cream scoop? Hi Daesy:) Please accept my apologies for the delayed reply. I have been sick & was incapable of keeping up with the blog. I’m so glad you loved these muffins so much. I’m surprised though that the tops didn’t brown, as I usually have that opposite problem. Mine brown so quickly that I always need to tent them halfway through with foil so that they don’t overbrown. I think that reducing the sugar could’ve have contributed to this as sugar does promote browning, but I don’t think that it’s the main concern. Browning usually has to do with the oven. Are you sure that the oven was turned both up & down? You also might need to bake them on a higher rack next time. Hi, Tasbih! Thanks for your reply, I hope you’re doing well now. Unfortunately my oven does not have both top and bottom heat option, so I used bottom heat about 17min and switched to top heat a little less than a minute. I guess I’ll have to try bake them on a higher rack as you said. Also, did you have problems with sticky muffin tops when they were cooled down? I always had this problem whenever I baked muffins or cupcakes, sadly. I couldn’t cover them with frosting either since my family likes them plain. Would love to hear your tips if you did experience this. Hi Daesy😊 It’s great that you’re working your way through your oven, and making this work regardless of not having a top & bottom heating option. I have a feeling that this could be the reason behind the sticky tops that you’re experiencing. Since the cupcakes/muffins are only getting heat exposure from the bottom only, the tops are not getting enough heat to fully set and caramelize it. Do you by any chance live in a humid climate? Sometimes I experience sticky tops on extra humid days. So it could be that too. This is truly the best muffin recipe ive found. It will be the only one I use from now on!! The family live it!! Thank you! Yaaaaaay! So glad to hear that! Thanks Tae for your feedback! They had a wonderfully fluffy texture and tasted pretty good (the batter was irresistible.) This recipe does NOT make 12 regular-sized muffins (I see from the pictures now that you were using a jumbo muffin pan; if I’d realized this earlier my muffins might be a lot better now). I think it’s more likely for it to make 12 jumbo muffins. I made 12 very large regular muffins and a small cake. Unfortunately I found that the muffin tops spread rather than rising. I would also probably call these cupcakes. The disclaimer as always is that I was using white spelt rather than wheat flour, with the addition that I’ve been having a lot of flat muffins lately (I have tested my baking powder and it’s fine) so it’s likely that it’s something on my end which went wrong. Hi what temp is oven suppose to be? Hi Kay:) It’s 400F or 200c. Enjoy! Hi! I just got them out of the oven and they look perfect. 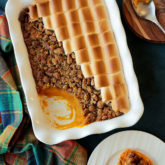 I tried this recipe twice, first time it didn’t work out so well because i substituted the sour cream with plain yogurt so it was too watery and it rose then dropped from the middle, but still tasted so good. Second time, today I used to substitute for the sour cream: (1 cup heavy cream + 1.5 tablespoons of vinegar) in addition to 1 tablespoon plain yogurt. Awesome! So happy your substitution was a success! Thanks for your lovely comment. Hi! These muffins truly are unbelievable! I’ve made chocolate chip muffins before but I’ve always felt that they were too cakey. This one is perrrrrfect! Slightly crunchy on the outside and so so soft on the inside. Sour cream is not (easily) available here in Mumbai so I used homemade yoghurt. I also love how you’ve given the measurements in gms. Helped a great deal! I can’t wait to try the other stuff in your blog. P.S: Cleobuttera? Hehehe! My husband and I laughed and laughed at how cute that name is. That’s so great! Happy to hear that your yogurt substitution work out just as well. Oh wow! 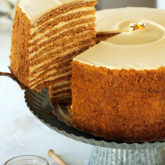 I love your white chocolate/ pecan spin to the recipe. 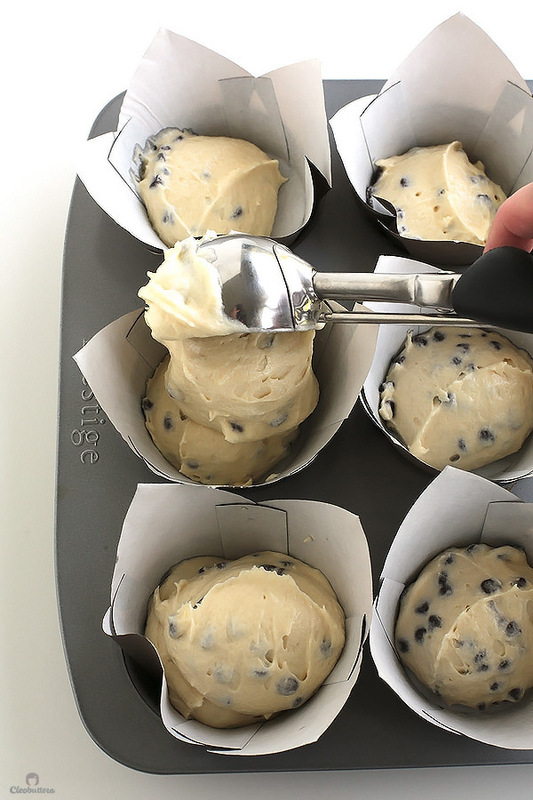 I like to think of this muffin batter as the perfect white canvas to our favorite add ins. Glad you made the best of it! I have made these many times now, kids love them! Great recipe -Thank you! Great to hear that you loved these. I’m surprised that they’re not rising well though; that shouldn’t be the case. Are you using both baking powder & baking soda & not one for the other? Are you sure that non of them are expired? I also used half buttermilk and half yogurt as I didn’t have sour cream to hand. Very yum! I’m so happy Carol that you finally found the recipe you were searching for! Glad to hear that your substitutions worked. FYI I’ve used all buttermilk several times before instead of the sour cream & they still turned out amazing. It’s really such a forgiving recipe. I just made these and wow! They are some of the best muffins I’ve had. It’s not easy to find sour cream where I am so I used plain Greek yogurt. I made half with only chocolate chips and half with nuts as well. I got 18 regular muffins out of the batter. Thanks for sharing! It’s so great to hear that Kelsey! I always feel that the plain batter is just the perfect vehicle for any add ins. If u like blueberry muffins, try swapping the sour cream for buttermilk & using blueberries instead the chocolate & trust me…you’re in for a real treat. It’s not often that I cook with fat or sugar, and about 98% of what I bake is vegan. However, my son will be six tomorrow, and when asked what he wanted for his special breakfast, the answer was chocolate chip muffins and bacon, so I went looking for a “real deal” recipe and decided to make this one. I didn’t have any sour cream, so I ended up using plain, low-fat Greek yogurt. They turned out *amazing* (I had to taste test before tomorrow’s big day!). Thanks so much for the recipe. Omg thank you!!!! I have been looking for the perfect muffin recipe for years!! They where always either too flat, too dry, not the right texture… This recipe satisfy all my requirements haha! Perfect “mushroom” shape, sweet, soooo moist and the chocolate chips didn’t sink even though they were big chips (I mixed them at the beginning with all my other dry ingredients to avoid sinking). My tip to have the perfect mushroom shape is to overfill a little bit the cases so they have a dome shape already before going in the oven. I will save this recipe for the rest of my life! This is the first time ever I am writing a testimonial online. These muffins are the most delicious things I have ever baked. Thanks a ton for this awesome recipe. Its such an honor that I’m getting your first online testimonial. Thank you! So happy you loved them so much Tasneem. TASBIH are you real?! I never make comments on these sort of recipe pages but I couldn’t stop myself this time. Muffins turned out to be terrific!!! The trick for me was I started the heat at 220 C for 5 minutes and then reduced to 180 C and in total I baked them all for 20 minutes. 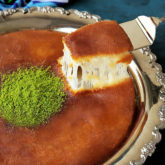 Next time I’ll bake it with a muffin tray and will bake as big domed muffins as Hagia Sophia! Hello Naz! Thank you so much for your wonderful comment. It means so much that you took the time to write it. It makes me so happy to know that you enjoyed this recipe. If you don’t have sour cream, you could use yogurt (preferably Greek style) or buttermilk & they’ll turn out just as delicious. I’m trying to see the photos you linked up but it’s not working for some reason. The problem could be from my part. I’m sure they were gorgeous. These are by far the best chocolate chip muffins i have baked and i’ve been baking for as long as i can remember. It’s actually the third time i make them but today was the best, there are 2 tips that i missed on i my previous attemts: beating the butter on its own to air it, and not overbake them as i usually tend to, they are moist and yummy, i used greek yougurt and it was just fine. Have been following you on fb but this is the first recipe i try, you’re right to call them unbelievable . 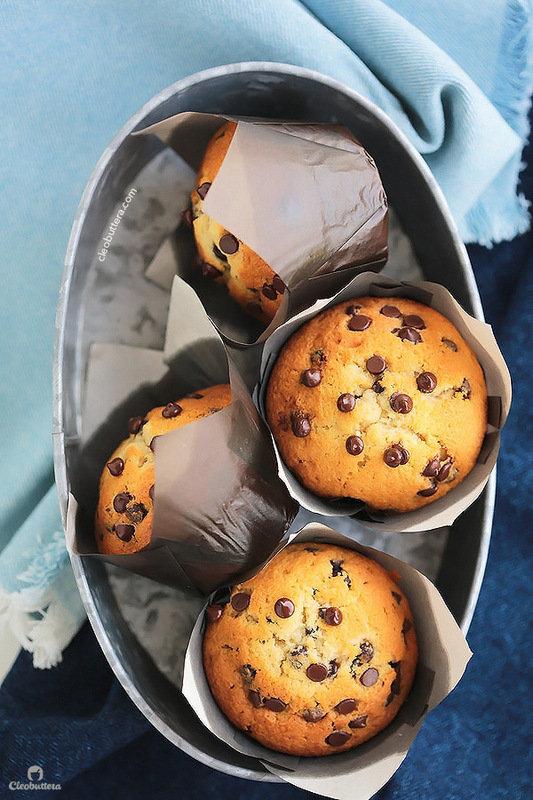 OMG…These are the best chocolate chip muffins ever!! My children love them and they are even better the next day warmed up. Thank you so much for sharing your recipe and your love of baking. Has anyone tried baking at 425F for 5 minutes and then reducing to 350-375? Mine baked with a nice texture but my dome wasn’t as high as some other muffins I had made. Also, has anyone added fruit with success? I made the mistake of splitting a batch between plain, chocolate chip and fruit. The fruit was frozen when added and all those variations had such a different baking time that the chocolate chip muffins were baked and the fruit sank as they were under baked. What a great texture. These may be my favourite found thus far. Has anyone added in fruits or other mix-ins besides chocolate chips with success? I know adding in fresh blueberry increased baking time by A LOT! I’m so glad they were a success! I’ve used fresh blueberries with great results, but yes they do increase the baking time. I’ve also omitted the chocolate chips, added ground nutmeg to batter, then after they’re baked, I’d brush them with melted butter, then roll them in cinnamon sugar for a donut inspired muffin…so good! Oooooh they are sooooooooooo delicious! It is THE white base+choc. chips muffin I had been looking for. I added coarse sparkling sugar for extra crispy top and used regular choc. chips and they did not sink since the batter is quite thick. I was skeptical upon seeing the texture of the batter, but when I tasted them straight out of the oven, oh my…. Thank you for this recipe! Yaaaaaaaay! So glad they worked so well for you. I’m so happy you loved this recipe Stephanie. LOOOOVE all of this and am planning to try out soon. ( with yogurt; left to strain overnight or more; trying to get it as thick as possible….) Do you think that would be a good idea or the loss of moisture will not let it have the same texture as your original recipe? Also…. Is it possible to half the recipe? Wanna say dear, that I am simply soooooo happy to see you back………..
Just, may Allah keep you and your family well and happy…. I think it is extraordinarily great and amazinnngggg of you to come back after what you’ve been through……… claps claps claps!!!! I have a quick question: does this batter stay on the kitchen counter while a batch of it bakes in the oven??? P.S recipe is “UNBELIEVABLE”!!!!!!! Truly the way you labelled it……..
Walaikom assalam Miss Muss! So lovely to hear back from you. What a grand welcome?! Thank you so much. So happy you love these muffins as much as I do. Yes! The batter keeps so well. I sometimes make it hours in advance & bake just when we need it. I keep it in the fridge though, if I plan to bake it several hours later. I even once prepared the batter a day in advance, and baked it the next day with spectacular results. I am so sooo happy to get this positive response!!!!! 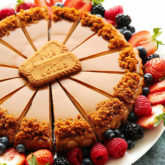 HOOOOOOO “WOW” A recipe from heaven (and a true revelation) with alll it’s aspects. ……….I am sure many people will agree. And what you just said only adds to it’s amazing(holy?)ness…….. Thank you loads again Tasbih> For making the world a better place by sharing all this magical (and enchanting) sweetness….. Thank you for all your efforts and instant(!) responses. These came out amazing!!! I was out of sour cream and took a risk by substituting it for silk almond mil. Yogurt alternative (vanilla flavored). I was a bit worried but it still came out amazing and the yogurt added great flavor!! Will definitely make again! That’s amazing! I just love hearing how forgiving this recipe is. I’ve only ever used sour cream & buttermilk, but it seems that it pretty much works with any soured milk product. Thank you so much Kylie for your feedback! I have made these muffins no less than 2 dozen times and they always come out perfectly! These are a must have in both freezers (jumbo size for hubby and standard for the girls) for a quick breakfast. Just one question–have you ever added peanut butter to this recipe? I am still in search of the perfect peanut butter muffin and i would love to use this as the base. Im just not sure if any of the other ingredients should be increased, decreased or eliminated. What a coincidence Suzanne?! I just made these yesterday. You’re right…they’re a kitchen staple. My family can’t get enough of them. I will be sure to check back regularly and see if you were able to come up with a peanut butter version. I’m usually terrible when it comes to experimenting with recipes and they usually are a flop! 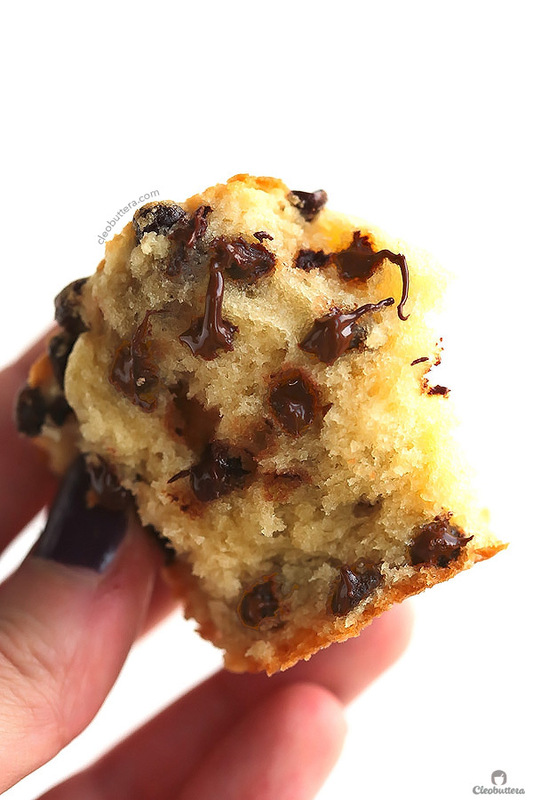 I found a peanut butter muffin recipe that uses sour cream…tried it out last week and although they are good it just doesn’t come close to the taste and texture of your Unbelievable chocolate chip recipe. 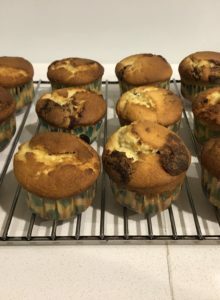 I love the taste of these muffins, but I’ve tried them three times now – following your recipe exactly – and each time they spill over the sides of the muffin pan rather than rising into a dome. What am I doing wrong?? Hi Ellie! Thanks for trying this recipe. I’m happy you like the flavor. Do you think you might’ve under-measured the flour? If you have a kitchen scale, I highly recommend using it to weigh your ingredients instead of measuring by volume…makes a HUGE difference at how baked goods turn out. I used to always measure by cups, but when I saw how improved my things turned out after trying the scale, I immediately converted & have never looked back since. 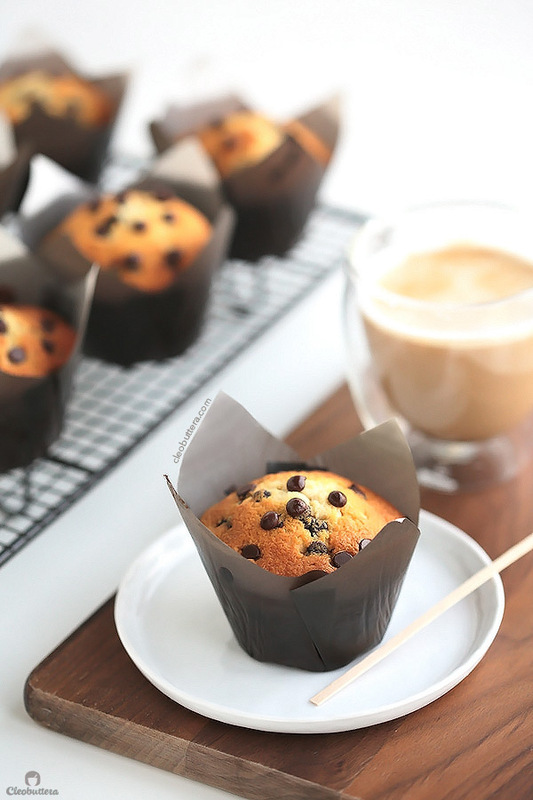 Another thing that may be affecting the rise of your muffins is the freshness of baking powder & baking soda. To test if baking powder is still active, spoon 1/2 teaspoon in a bowl and pour 1/4 cup of boiling water over it. It should bubble up violently. As for baking soda, combine 1/4 teaspoon with about 1 tablespoon vinegar. Again it should bubble like crazy. Hi Neynz. It will work but the muffins will probably not turn out as supper moist. I’d suggest making up for the lost 20g with oil. Just add 20g of neutral tasting oil like vegetable, canola or sunflower after creaming the butter and sugar. You could also use coconut oil and add that along with the butter, but note that it will add traces of coconut-y flavor which I actually happen to love. It’s so good to know that you like it! Clearly the best.I am not a muffin or a cake person but this was like fab.Kids loved it. 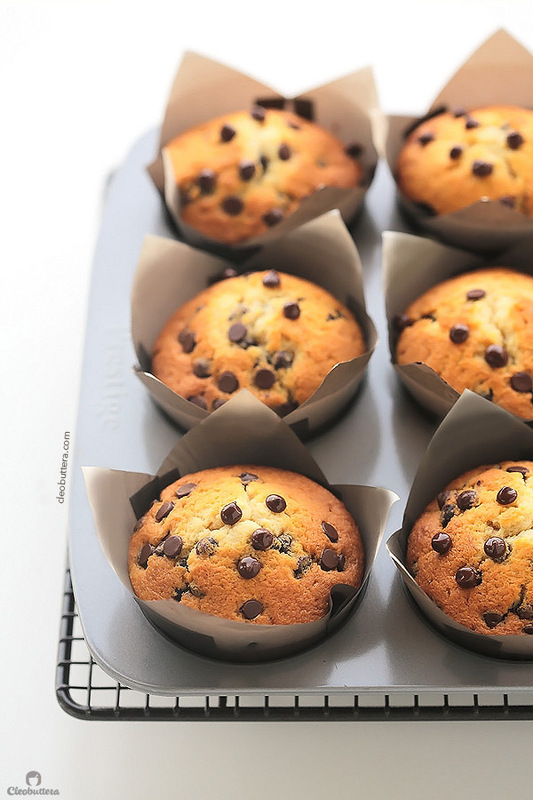 Omg – super good muffins. Used raw sugar. Not too sweet. So great to hear that you loved the muffins Vi! can you use kefir instead of sour cream and how much do recommend? Yes kefir makes a good substitute. You can use the same amount as the sour cream; 1 cup. Assalamu alaykum, may Allah reward you for creativity and kindness. I made them today, all you say is true. I have them overbaked a bit to be honest: my oven is a bit stubborn at times, which makes me reluctant to check whats going on in there. But this recepie and the results made me so happy, i will give it a try again, but i will bake it on a cake form, not muffin forms. The dough tend to grow and leak out of the tiny forms. And the kids couldnt get enough 🙂 Respect to you and keep it up. Walaikom Assalam Madina. Thank you so much for your kind and sweet comment. I’m so glad this recipe made you and your little ones happy. I hope you love it even more the next time you make it. These are dreamy and just do everything right. Thank you so much for this recipe. The only thing that surprised me was the amount of dough, I made 12 large and 12 mini ones out of this. Should I have piled the dough more? I was afraid of overflowing, resulting in a burnt mess in the oven… What does your pan look like before you bake, how full are the paper liners? Thanks for everything, you are an idol! I like to store them in an airtight container (I use Tupperware). That way they’ll stay moist for several days; but yes the tops do soften up a bit that way. If you’ll like to keep the tops crusty, then just cover them loosely with foil, however, they might lose some moisture on the inside. Literally the best muffins ever!! I make them ALL the time… so easy and quick… love love LOVE!! I often sub buttermilk for sour cream (vinegar mixed with milk) as I don’t always have sour cream and they are always perfect!! Mini chocolate chips are perfect in these as recommended… AND Today I added 1/4c fresh lemon juice and the zest from that lemon after the vanilla. Then folded in 2tbs of poppy seeds instead of chocolate chips at the end… AMAZING!! WELL WELL WELL! You have actually done it! My husband is a very fussy eater…. he LOVES these muffins. He has actually asked for them twice now since I made them! I just made them again this morning and I am sure they will be all gone by tonight! I could half this recipe and it would still come out perfectly right?Am trying to go off sugar and my little boy can indulge till his time comes. Oh my God!!!!!! I just tried this recipe and these muffins are definitely unbelievable. You could not have picked a better name for them. Moist, full of flavor and crispy on top. Simply amazing!!!! Welcome aboard Nasmeena! So happy to hear that the cinnamon rolls were a success! I don’t recommend adding cocoa powder to this recipes, as the addition of another dry ingredient without compensating with extra fat and liquid, will dry out the muffins. 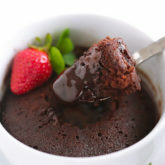 I’d suggest using this Double Chocolate Muffin recipe instead, as I developed it specially to include cocoa powder. It’s also a sour cream batter, and just as soft and moist as this one. Oh gosh! These turned out SOOOO good! This is my new base recipe for all muffins going forward. I have to do gf for the hubs so I substituted just a 1-for-1 gf flour and it worked perfectly. With the mini chocolate chips, these are awesome! I generally don’t like baked goods except the day they’re made, but man, pop these in the microwave for 10 seconds and they’re just as good as they were straight from the oven! Thank you so much for a great recipe! You have no idea how happy this makes me Jen! Thank you so much for your wonderful feedback! I’m also really glad to hear that the gluten free version worked just as well. I’m sure this will be helpful to a lot of people who have the same concern. Best muffins ever thank you for this recipe! Hello, can’t wait to try this. Can I ask where can I find the tulip paper in Cairo, Egypt? Hi Rana! I’m honestly not sure as I got mine from abroad. However, I’d recommend checking Tulip shop, as they usually carry some really nice baking supplies. 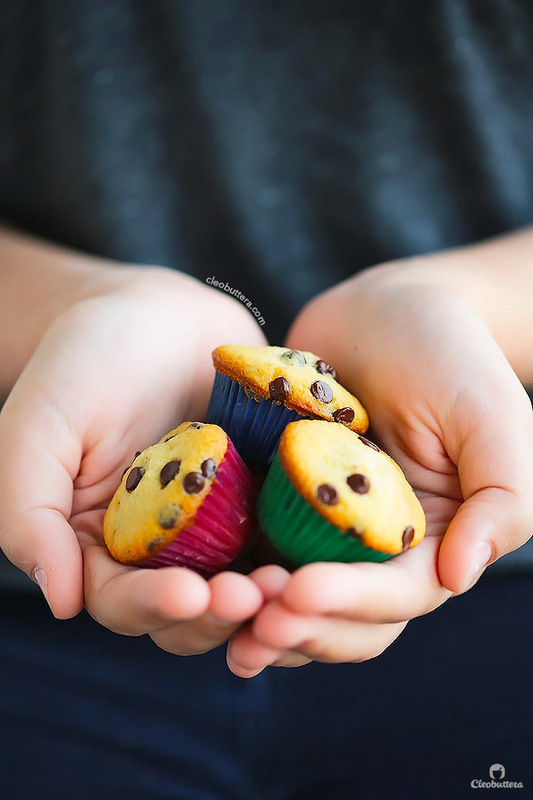 Hi, i am planning to do muffins, but as this is my first time…i would like to try on lesser qjantkty…could you please help me with measjrements for y muffins??? It turned out really well….fluffy and soft….its soooo…..yummy…. That’s so amazing to hear! omggg, i’m obsessed w this recipe. it’s so easy and fun to make ! the steps and instructions are so easy and clear to follow. those end results couldn’t be any better. love it, i can’t wait to make more of these in the future! Absolutely love hearing that Menna! My family is equally obsessed with them too. Such a dangerous thing to have around the house aren’t they? Thanks for sharing your pic; your muffins love wonderful! OMG…the BEST muffins I ever ate/baked 😉…So soft and yummmm. My 4 years old had so much fun making these with me and now she’s super excited to take one to school in lunch box. My whole family loved them. This was my first time ever baking any kind of muffins and I am so grateful to you for such wonderful recipe. This is just so amazing to hear! So glad they were such a hit with your family, especially your little one. Thank you so much for coming back and leaving such wonderful feedback! Hi can I skip the eggs? Or add banana instead of them? will it give a different taste? Hello Netta! I know for sure that mashed bananas can be used as an egg substitute, but I honestly have no experience in egg-free baking, so I’m uncertain how the final muffins will come out as far as texture goes. As far as taste is concerned, depending on the amount used, it will probably impart a more or less mild banana flavor. 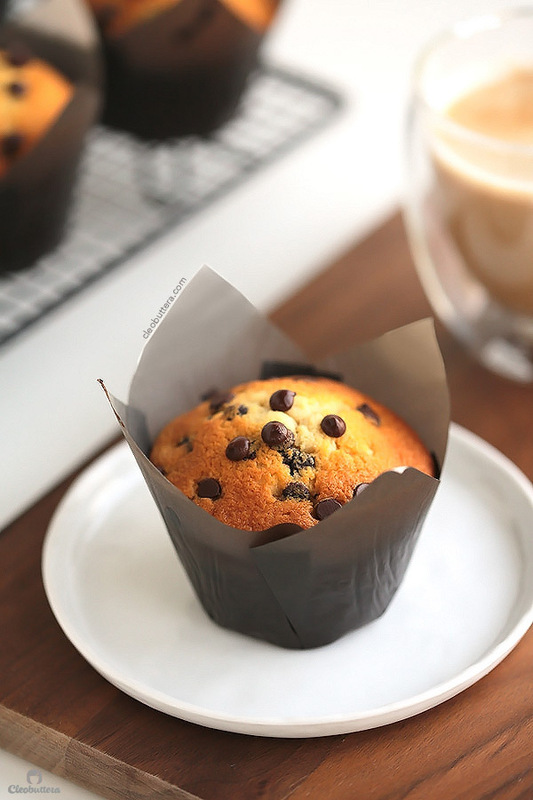 This muffin is delicious as a blueberry muffin as well! So easy to make! They will be gone quickly. I used Krusteaz gluten-free flour because of family allergies, and you can’t taste the difference! Darlane these are 2 great discoveries in one! Thank you so much for sharing. I have no experience in gluten-free baking, so it’s always amazing to know when a recipe converts well. This will be so helpful for readers who have the same concern. These are the absolute best! My family loves them! I split the batter and do chocolate chip, blueberry using frozen blueberries and (with a homemade vanilla crumble on top and banana nut with a cinnamon crumble on top.. My husbands coworkers said they are better than any bakery they have had muffins from. Thank you, Thank you , Thank you for sharing this recipe.. I will never use another recipe or buy muffins but from anywhere! It’s so wonderful to hear that you love this recipe so much Tammy! I love the variations you have done with it. Everything sounds so delicious! Hi..tried this receipe and so delish..my second try using ur rceipe..thank you.. I followed the exact recipe and instructions (just added a bit of orange zest cause i love chocolate orange flavour) and they turned out the best muffins ever. Much better then many bakeries. Thanks for the recipe! Love it and highly recommend.